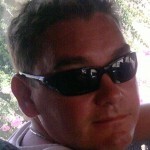 My name is Craig and I am a freelance IT Contractor who has worked in the IT industry for the last 27 years. I have worked on many projects in many different roles but I won’t bore you here and those of you that know me can always check out my Linked-in profile (http://www.linkedin.com/in/craigreading). For the last 17 or so years I have focused on Contact Centre solutions predominantly based on the Genesys software suite (http://www.genesys.com/) and am a Genesys Certified SIP Consultant. I am passionate about Contact Centre and Genesys technologies in general and blog here and Tweet (@genesysguru) about #genesyslab and #cctr whenever I can. I have worked on too many projects that never get past simple inbound voice routing. What I believe is that we need some thought leaders and technology evangelism in this field. I’ve setup this blog to evangelise and share some of my real life Genesys project experience as well as to remember where all my time has gone! I also use this blog to try to influence thought leaders and promote technology evangelism in the Contact Centre field. I hope that this blog will be of use to some of my fellow Genesys professionals as well as current and prospective Genesys Customers out there. I provide my professional services through my UK limited company – SabreTek Solutions – where I am the Chief Inspiration Officer. Please note that I am not affiliated with Genesys (www.genesys.com) in any way implied or otherwise. Also, so there is no confusion who owns the trademark Genesys in reference to telecommunications, Genesys is a trademark owned by Genesys Telecommunications (www.genesys.com).